A Few Good Men is written by Alan Sorkin and published by Samuel French. Performances will be November 2-3, and 9-10 at 7:30, with matinees at 2 pm November 4 and 11. We will have a special performances honoring our veterans on November 1 at 7:30. Veterans will attend free of charge that evening. 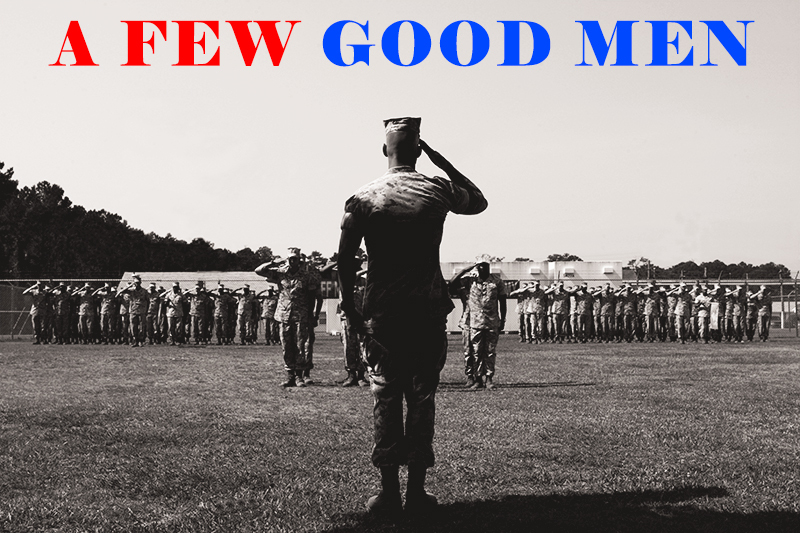 To all veterans who plan on attending our special veterans performance of A Few Good Men on Thursday November 1st, the code you use to get your free ticket online is “AFGM2018". This will allow only 1 ticket when using this code in the transaction. Congratulations to the cast of A Few Good Men!